This collection of these adorable, whimsical graphics is perfect for all your baby and children projects. 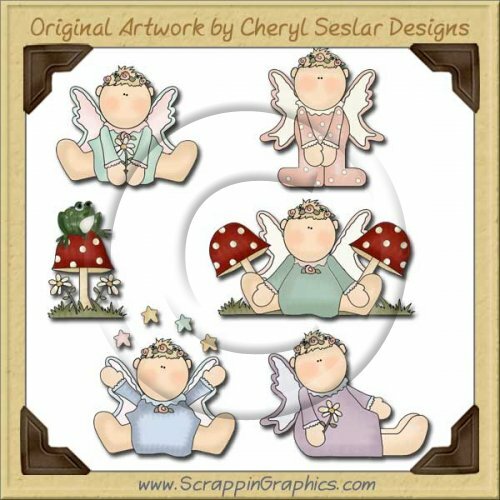 This set includes 6 graphics: fairy baby juggling stars, fairy baby holding a daisy, fairy baby sitting holding a flower, pink fairy baby, fairy baby sitting among mushrooms, frog sitting on mushroom . Great collection for making scrapbook pages, cards, labels, tags, invitations, and other printables.